Karlshamn’s quaint and cosy old town centre has well-preserved houses from the 18th and 19th centuries, as well as a large selection of wonderful restaurants, cafés and shops. 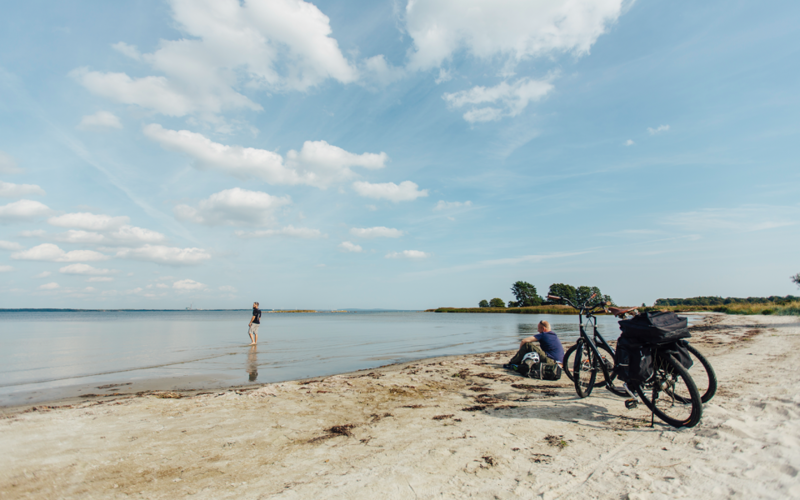 In this section of the trail, you’ll be biking in an open landscape along the coast, where there are many beaches you can cool off with a swim. 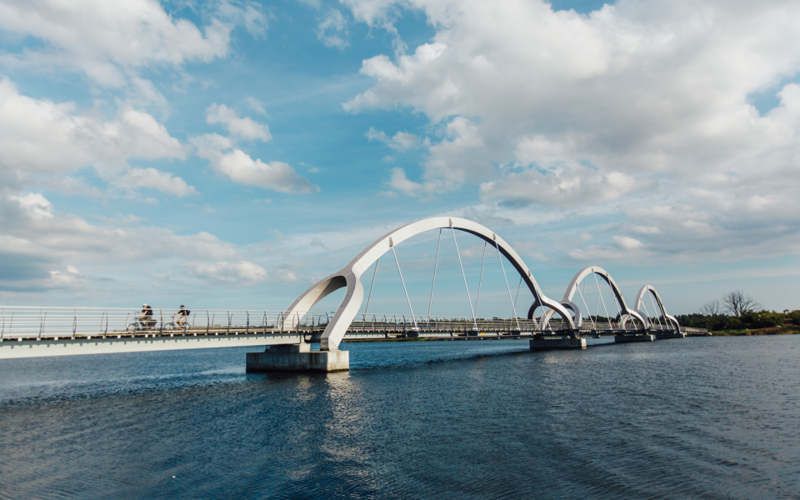 Continue your bicycle ride toward Mörrum, which is famous for its sport fishing waters that contain plenty of salmon and sea trout. When you reach Norje, you’ll be at the halfway point of the Sydostleden Trail. 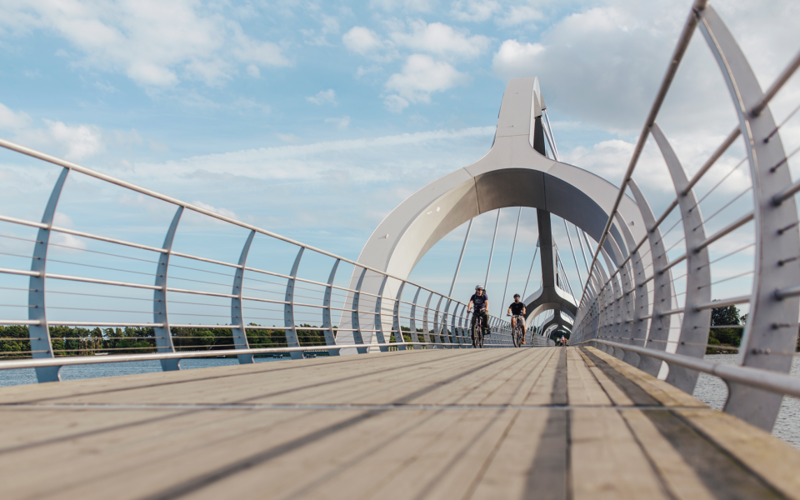 In Sölvesborg, you’ll bike across the spectacular Sölvesborg Bridge, which connects the Listerlandet peninsula with the city. It’s the longest pedestrian and bicycle bridge in Europe and boasts fantastic lighting in the evening. St Nicolai Church, which was built around 1300. Another must see sight is the Four Seasons Park, created by the Dutch landscape architect, Piet Oudolf.